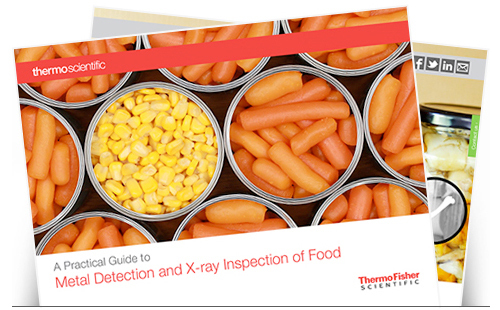 To download our latest eBook, "A Practical Guide to Metal Detection and X-ray Inspection of Food" please complete the short form below. Be sure to subscribe to our mailing list to stay up-to-date on the topics that matter most to you and to receive news about metal detection, X-ray inspection and checkweighing solutions. Every year, product recalls involving foreign objects cost food companies millions of dollars, damage their reputations, and put consumers at risk for injury. Examples include the recall of more than a quarter of a million boxes of a popular mac & cheese product because some of them contained metal fragments, and the recall of almost 1 million pounds of chicken for the same reason. Food manufacturers have two lines of defense against foreign object contamination – metal detectors and X-ray inspection systems. Which one will work best for your products? Download our free eBook.